Want to know why? Because its chicken is famous. If someone is a chicken connoisseur, they have been to this store. Neither is this store’s menu pretentious, nor is it overladen with items. It is a ‘what you see is what you get kind of deal.’ No area to sit down, this is a fast, on the move store where you take your face-sized chicken and eat on the go. I thought that was pretty perfect, considering it is based in the heart of Sydney city, which may as well rival New York now by how busy it is! I love the wonderful, inviting blue decor, it is a baby sky blue with ‘Hot Star‘ written on the glass, as a bright sign. 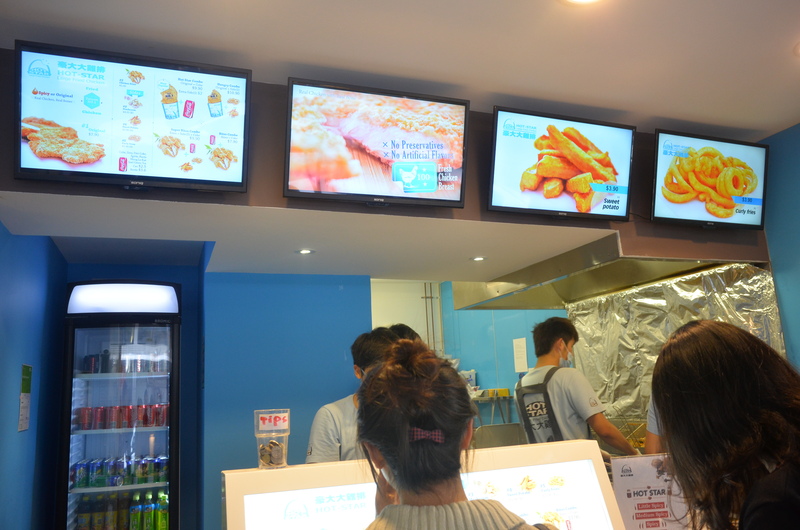 There are two large menus, one with enticing photos and then one more on top – everyone can see, no problems! On arrival, I got invited to the inside (yep, inside!) the store, where you can see the chicken magic happening! I was really impressed by the hygiene measures taken when I walked in. 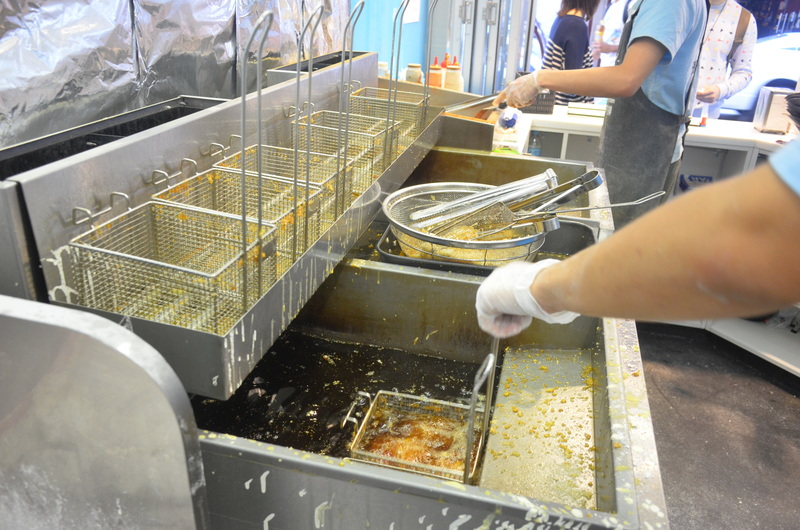 It is so easy to go lax with the amount of fryers and oil everywhere, but the whole area was very clean. And all the employees were wearing face masks covering their mouths (except when serving of course :P) and plastic gloves. 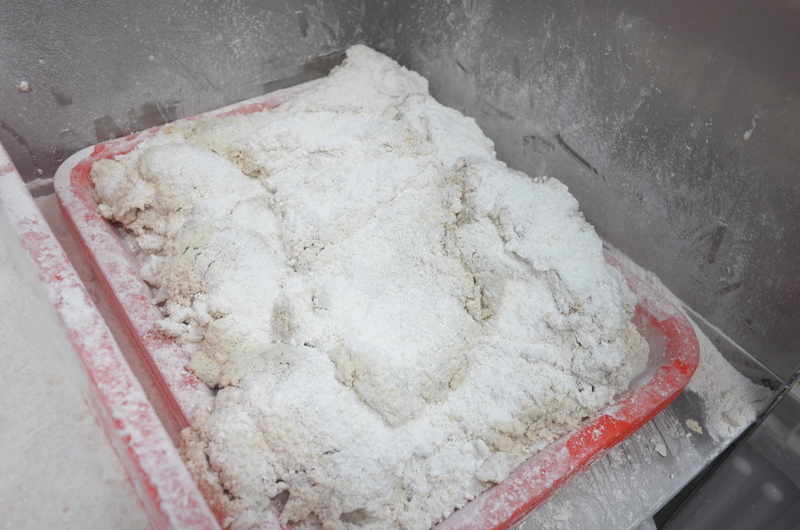 It seemed to be a really efficient store, the chicken was crumbed and dusted in flour, waiting to be fried. 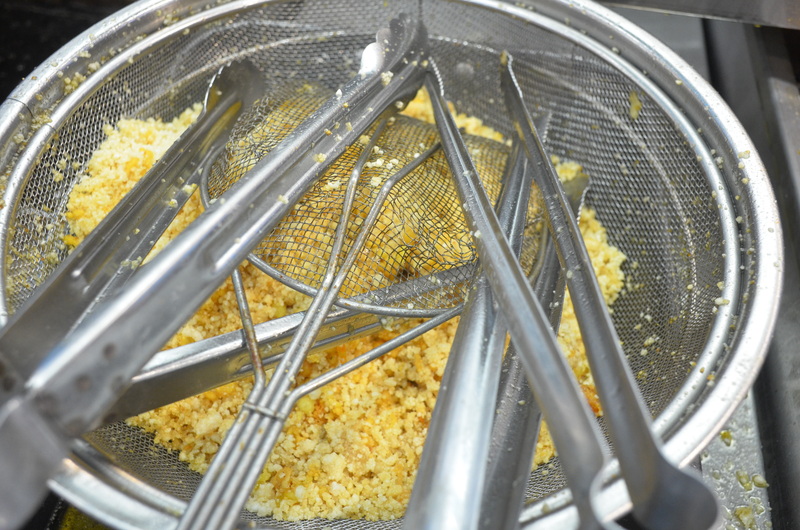 Separate friers according to the dish being made. All very precise, and the frying smelt absolutely incredible! Yeah, I know, it is as big as it looks, if not bigger. Not going to lie, my brother most certainly was battling! This chicken is actually dusted in ingredients (all secret mind you!) straight from Taiwan, except for the chicken of course, whose large breasts are brought from here! 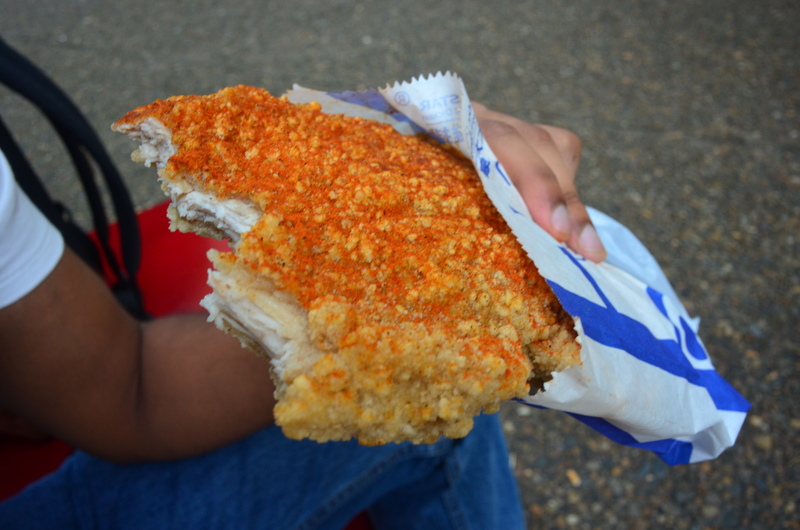 My brother did not hesitate to ask for the spiciest flavour optioning (they have mild, none and as spicy as you can make it), and so he began to enjoy the Original Large Fried Chicken. You can also get it done super crispy, so I loved the amount of choice available! And you know why it is so tender? Each piece is marinated for 12 hours before serving – now that is flavour!! Look at how tender and perfect the inside is! No joke when I say my brother was seriously enjoying gorging on this chicken piece which was fried to perfection, and larger than his face! Another thing I really liked was how generous they were with the spicing – they easily could have gotten away with a light dusting but no – look at the difference between the original colour and the spiced! 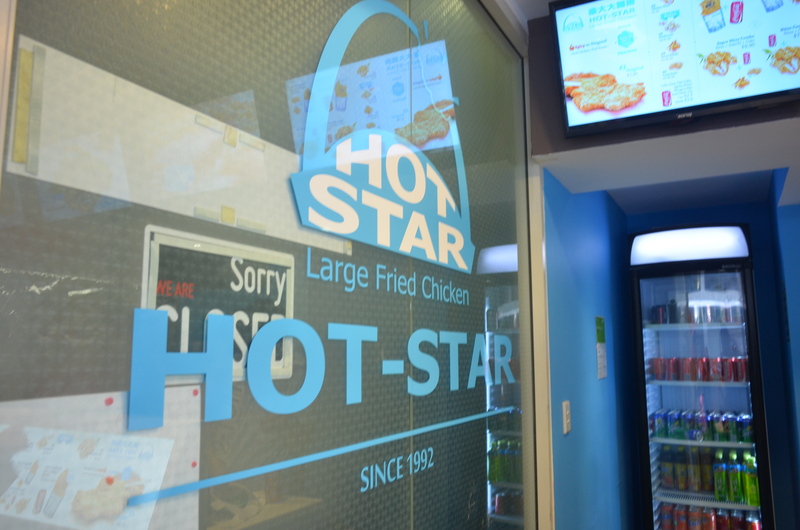 But that is not even where the chicken action stopped – My brother also got to sample the Chicken Bites available at Hot Star! I like that this option is available on the menu – even though the selling point of this store is there mega sized tender chicken, not everyone has friends around to share their chicken with or is that hungry! 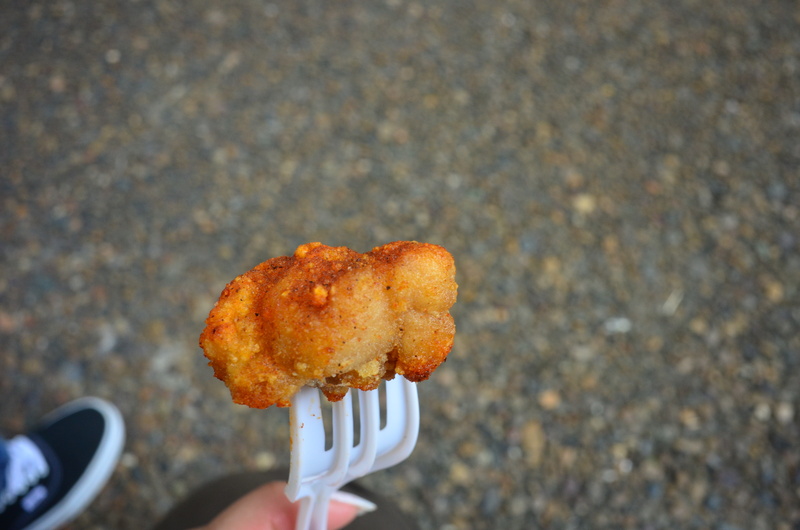 These chicken bites, according to my brother, were just as succulent as the large fried chicken, but literally just a cuter, fatter version! Now its finally my turn to start eating 😛 Let me start with the Sweet Potato, or Kumara, Fries. In my experience (a.k.a, when I ate these chips once before from another restaurant), it seemed that they were soft, a little soggy and I didn’t really enjoy them much – I put it on the nature of sweet potato, considering it is so mushy-able! 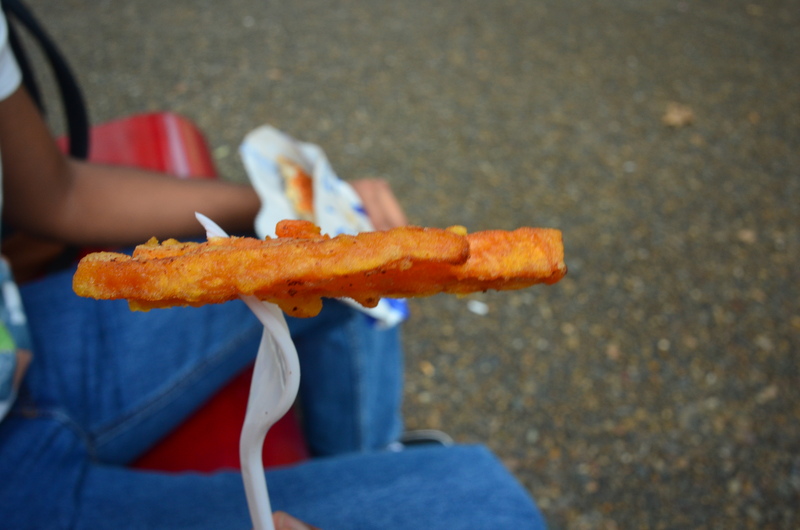 And they were lengthy as usual, but also very thick, something which many fast food stores forget the importance of – thick chips win. 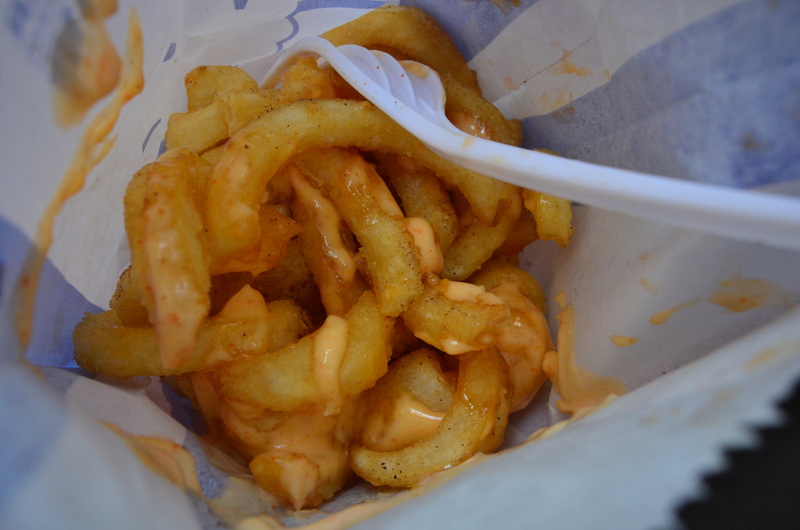 But I think the winner in the fries department were Hot Star’s Curly Fries drenched in spicy mayonnaise. I know, even just saying it makes my mouth water! You know how most places sell curly fries but when you expect a slinky style curl, all you get are limp pieces of soggy potato? Not at Hot Star! Look at that crispy and delicious curl! Our last bag contained larger than life fried Mushrooms, which I think was a really innovative choice to add with chicken. Now, I hate mushrooms, I don’t know if I have mentioned that. The idea of eating fungus does not appeal to me. Unless, apparently, it is from Hot Star. Using only the most expensive King Oyster Mushrooms (I know… how classy! 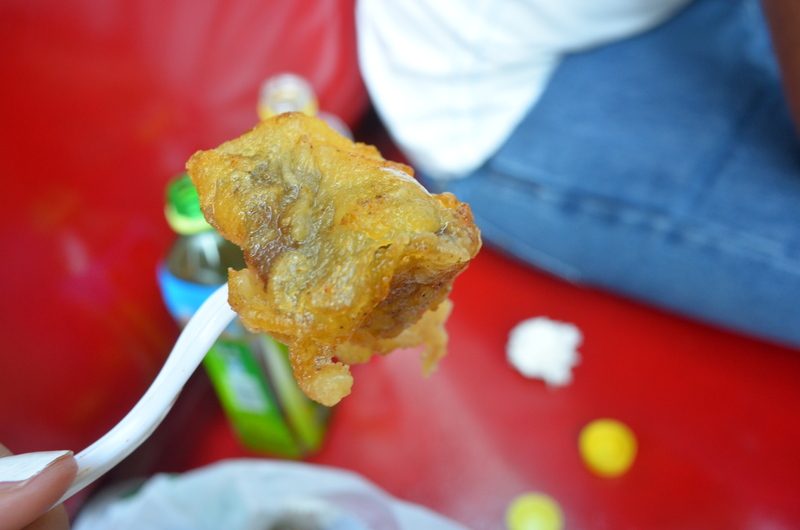 ), these fried vegetables were boiling hot inside. You have to be very careful when eating them! 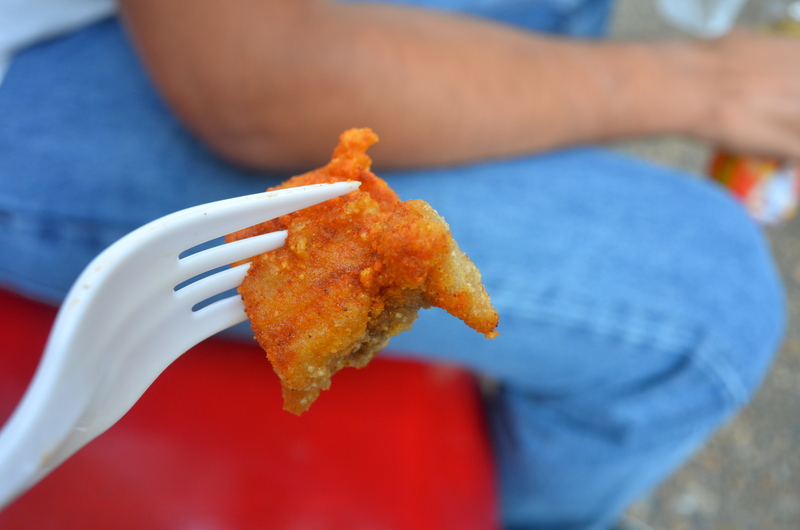 But under the fried exterior was not some rubbery fungus, but the slickest, juiciest mushroom I have ever eaten. Caters to all tastes 🙂 – even a vegetarian! Disclaimer: Go Bake Yourself and her guest were invited to sample Hot Star’s menu, but all her opinions and thoughts are honest and her own. 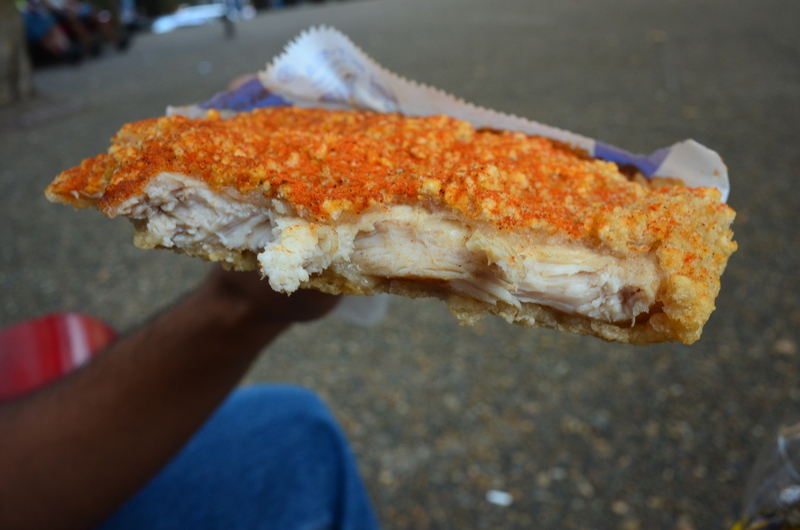 that’s probably the crispiest crust on a piece of chicken i’ve ever seen. delicious! When they say LARGE, they mean it! Nice close-up shots! The chicken looks great–lucky brother. Glad you found some tasty things for yourself! 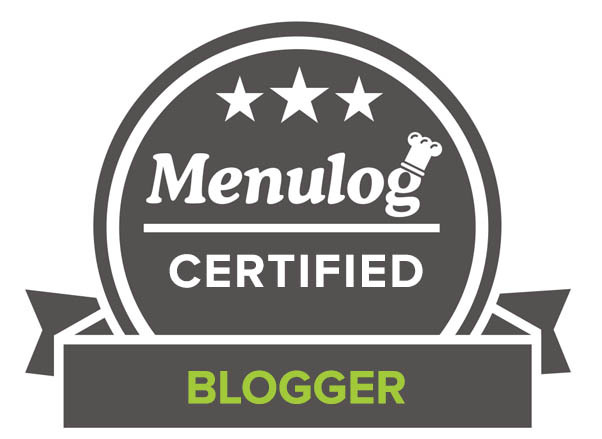 I was so surprised to see a chicken post from you….I did one for you as a guest poster, and I love how you are so open minded about something you don’t eat. I have been struggling with my blogging routine as well. Hang in there. I love that mushroom….sold. Between the spicy chicken cutlet and the curly fries, I’m salivating. Even the mushrooms look amazing. I would to try a bite of everything. Great behind the scenes photos. 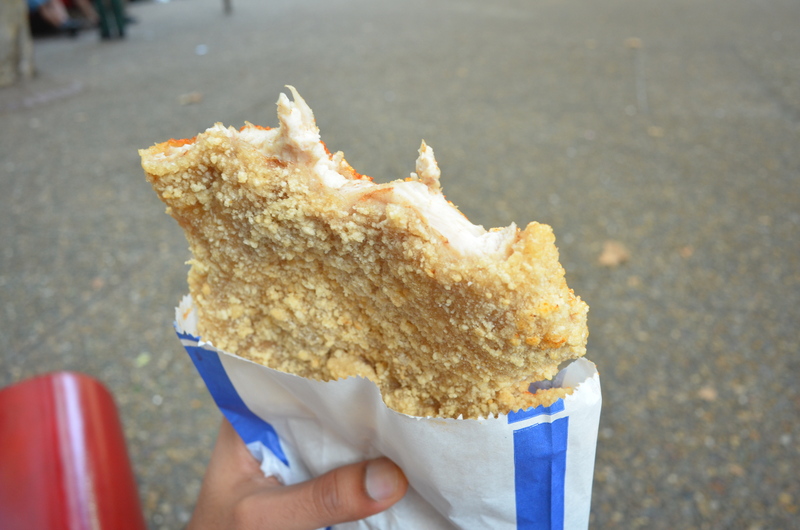 Oh wow – I do love a good piece of fried chicken and this looks delicious. Everything looks so delicious here and I love that the chicken is served in a hand held container. 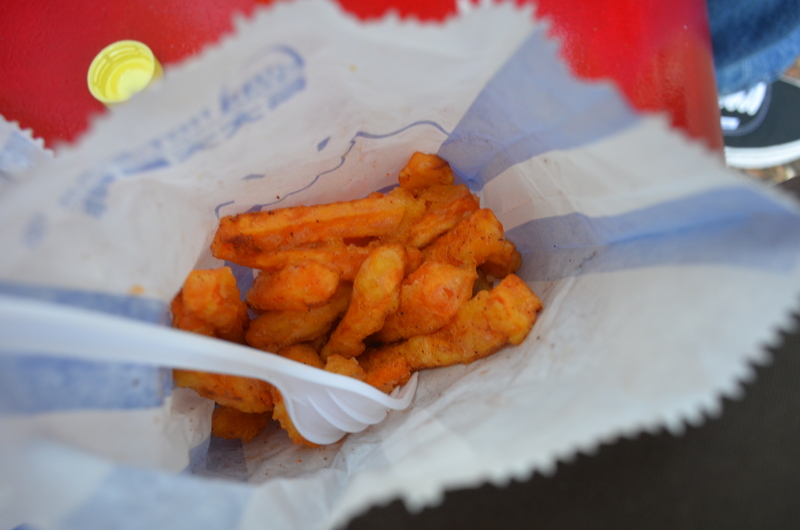 Also the french fries look great, always my favorite part of the meal! 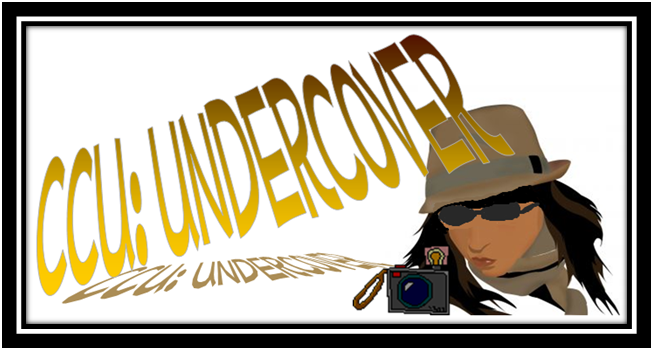 Not so undercover this time, eh? 🙂 And the size of that chicken is mahoosive! 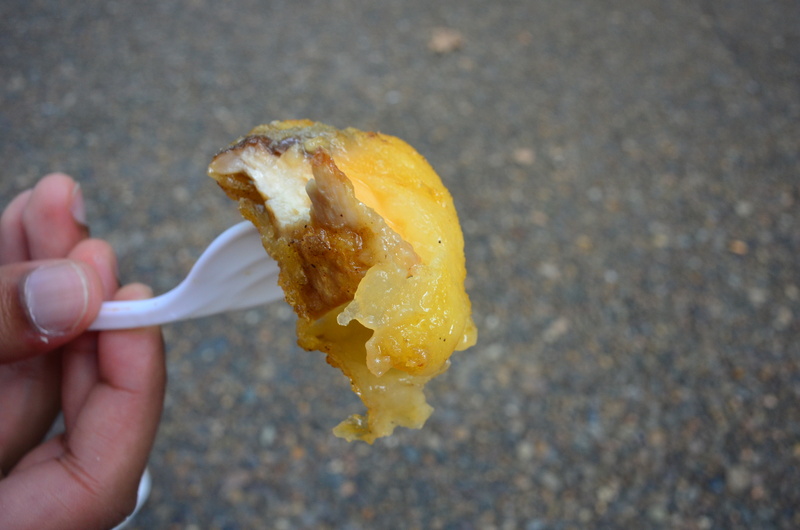 I need to come over and try it – I’m seriously salivating! Oh and guess what? I didn’t know your blog had changed links. I was checking through all my feeds when I discovered no new posts. Went to the blog and it said it was private so googled your blog name and ended up here. Sorry I’ve been MIA so long. I’ll update my feed now so I don’t miss anymore new posts. Hope you’re well? It’s been a while. Take care lady. Holy Hannah! D: That place looks AMAZE-BALLS. I volunteer as taste-tester next time. Lucky bro. Seriously, my mouth is watering. Fried chicken is my weakness, Uru…actually fried anything is my weakness. 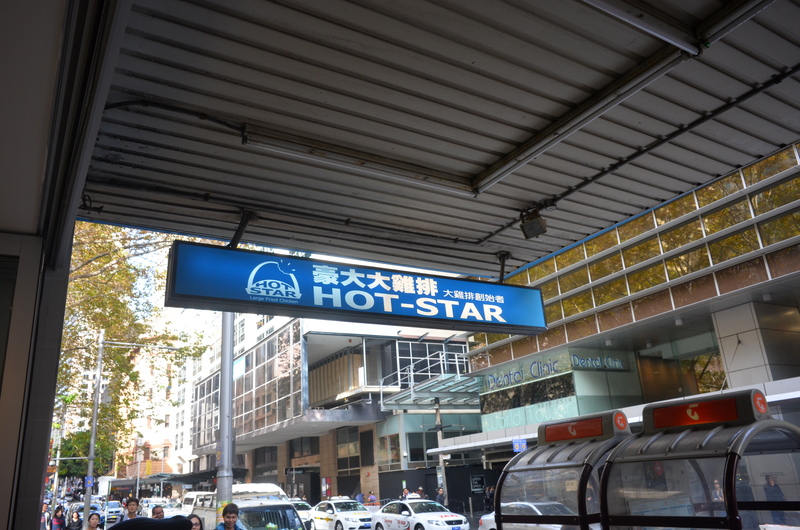 I want to go to Hot Star so bad! Hey I know how you are feeling, I am struggling too to get back into my beloved blogging routine. I’m having such a bad throat now… if only I could have a bite of that chicken now! Lol! I want a little bit of everything here! 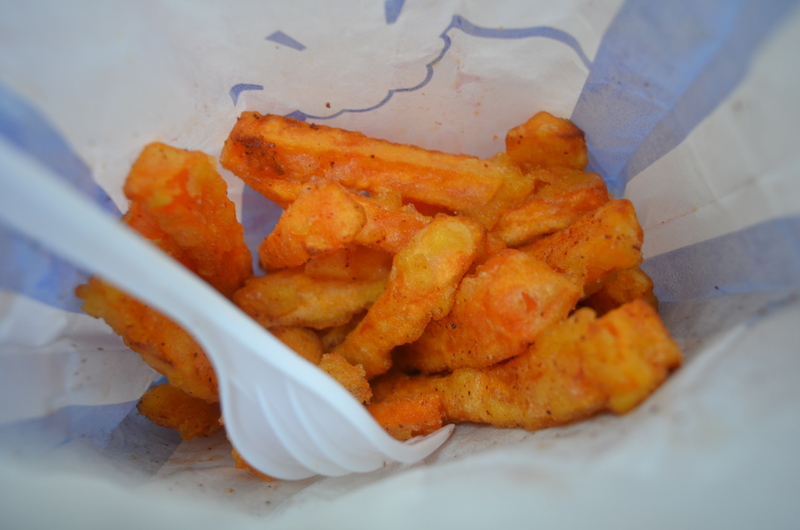 Those fries….to die for! Yum yum yum, I can see why their chicken is famous! I looks amazing. That chicken sure is huge! I love sweet potato fries, glad you got to enjoy it. YUM! 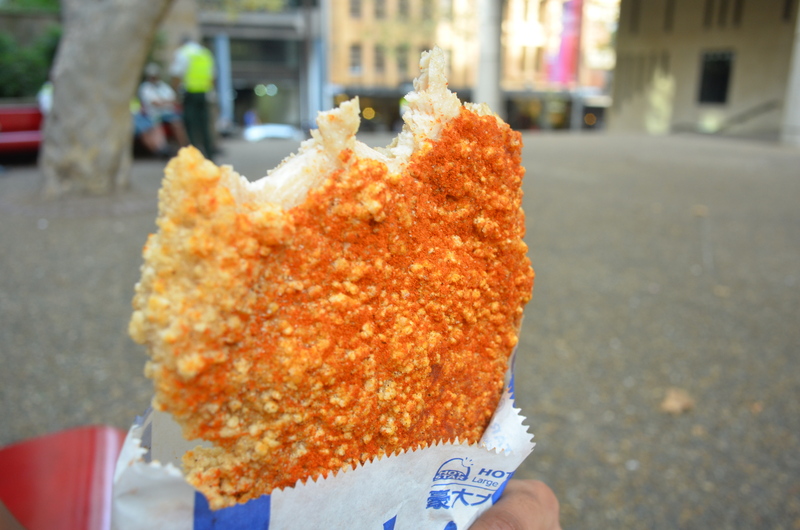 I love the coating in this chicken…it sure looks super crispy. Everything looks fabulous! 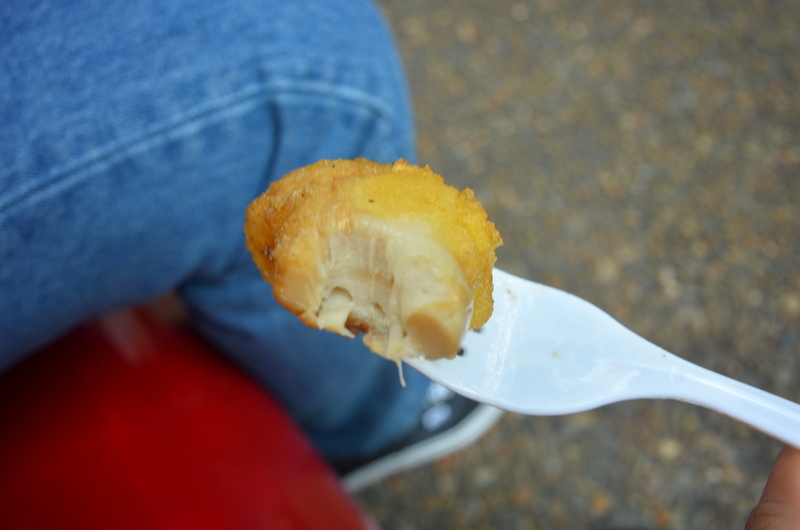 Come on now, tell me that you weren’t a little bit tempted by that chicken…not even a little? 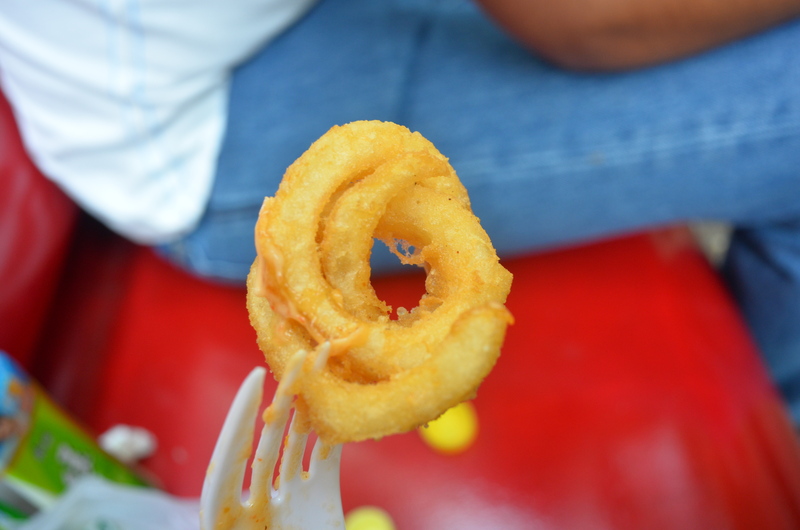 Those curly fries w/mayo sound like something no one could pass up though. That chicken looks delicious! 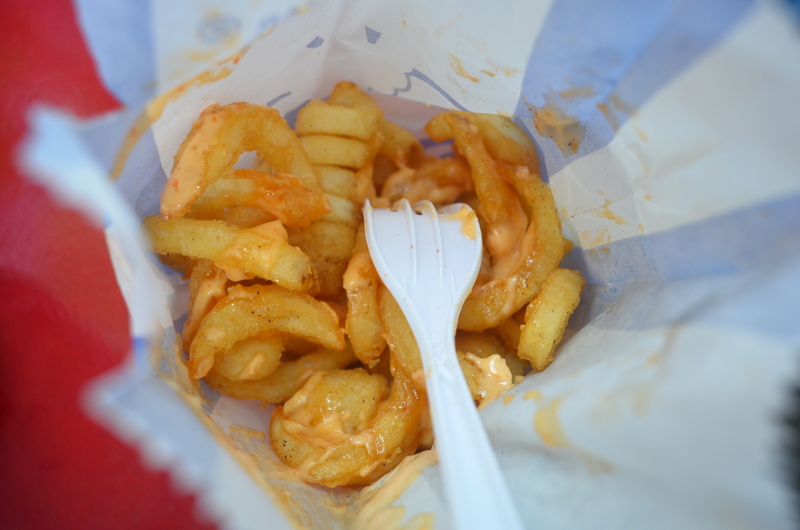 And those curly fries with mayo – yum. 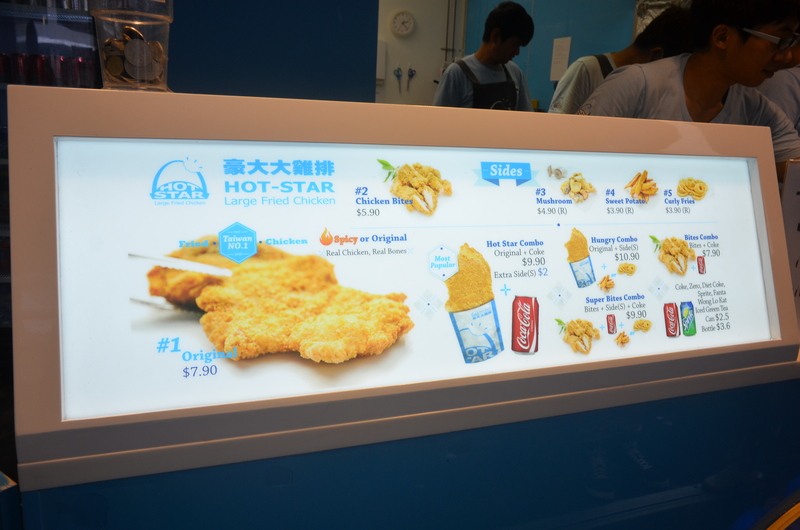 You know, when your email popped in my inbox and I saw Hot Star Chicken, I did a double take! CCU and chicken?? But I see you took your trusted carnivore with you and by the looks of it, he approved! Unless they come to the US, I prolly won’t be trying them but it’s good to know they are excellent when they do show up!! I do always find it a bit awkward when people pitch me meat products even though I’m veg. You handled it perfectly! the mushrooms are my fav! Wow! Those are big pieces of fried chicken! I haven’t had fried chicken in years, but I think this place would tempt me. I am glad you were able to take your “taster” with you and not sacrifice the opportunity to visit. And I do like “fungus” so those mushrooms would be my treat of the week! You are invited to some of the most interesting places. Which we had a Hot Star Large Friend Chicken in California. Maybe someday! I’m afraid I just took a bite out of my laptop. Ooops. I so want a bite of this face sized chicken. Looks perfect…I can almost taste it from the photos. Visiting soon! I like the cuter fatter version. I’d eat up every thing on the menu. Awesome. In recent years I have gone off chicken, but the sweet potato fries and the curly fries look YARM! I love that a chicken shop caters for the vegos. Nice review lovely, thanks for sharing. 🙂 PS: Good to hear you had a break that included lots of partying and good times. 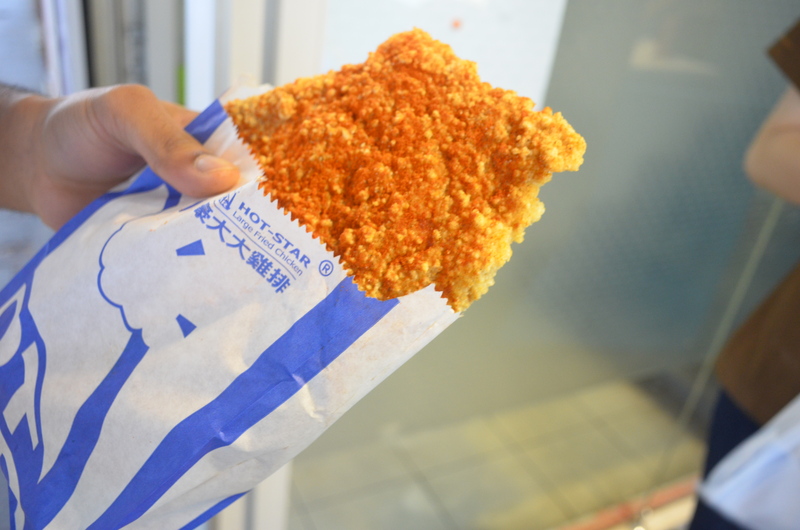 That looks pretty tasty, hopefully Hot Star will make a U.S appearance. I love mushrooms! Everything looks good. Your reviews are awesome, Chippy. We walked through Chinatown when we visited Sydney before Daisy was born. Wow, that’s over 4 years ago! Didn’t make it into Sydney on our last trip. Next time I’m there, I’m going to go to the places you review. BTW I have a worldwide giveaway at the moment in honour of Mother’s Day. You are so generous! And you must come to Sydney soon! I’m sure you really enjoyed your school break. Last week I hade some days off and I do know how hard is gettin back into routine!!! That chicken is HUGE ! 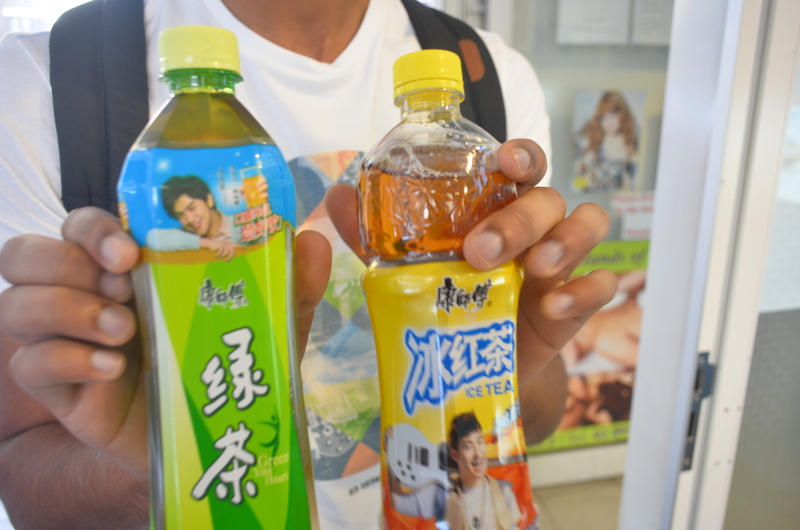 I want some. now. im glad you were able to enjoy few veggie things – those fries look yum. They all look so crisp and mouthwatering. I would really love to taste those fried mushrooms. I would want to sample everything on the menu. Have a lovely day CCU. 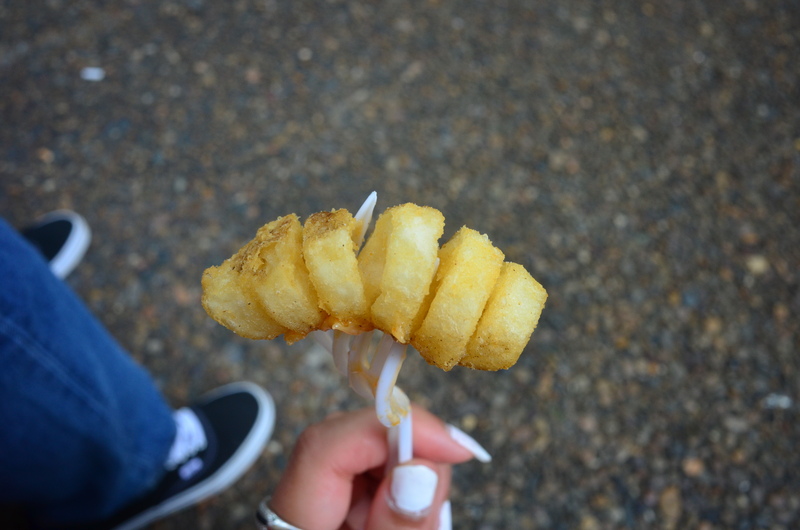 While I am pretty dang sure this stuff is DELICIOUSSSSSS – I am still cringing, only because I care about you and fried food is just a no no, LOL!!! 😉 But it’s okay – I’ll let it slide, this time! very cool! I want that chicken 🙂 Thanks for sharing your experience. Sounds like a really fun place! I love decent fried chicken, and this looks superb. Sounds like both you and your bro found lots that pleased you. Good review — thanks. How nice that your brother got to tag along and be your taste tester! That chicken looks darn good!! We don’t have a Hot Star as far as I know here in the states but, as Suzanne said, I too think it would be a huge hit here. It sure sounds yummy! Personally, I’d forgo the chicken for just one of those amazing mushrooms! Thanks so much for sharing your view, and your brother’s, Uru. Now I’m really hungry!!! I’m sure if they extend out internationally US will be the best place to go! Everything looks delicious, I am partial to the sweet potato and the mushrooms. Looks good, everything. That would be a big hit in the US where everyone like everything super sized! The chicken looks so crisp and tasty.